If you know me, you’ll know that I frickin’ love curry. 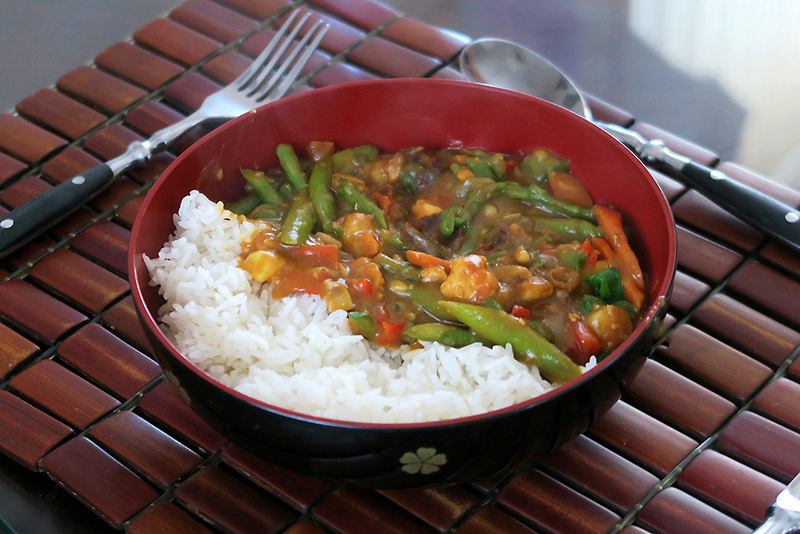 Indian, Japanese, Thai… Curry is just an all around winner in my book! I often post videos when I make curry over on my snapchat (add me – lovelyghost). Accompanied with rice, it’s a hearty and filling meal that’s great for chilly days and works well for leftovers for the next few days. 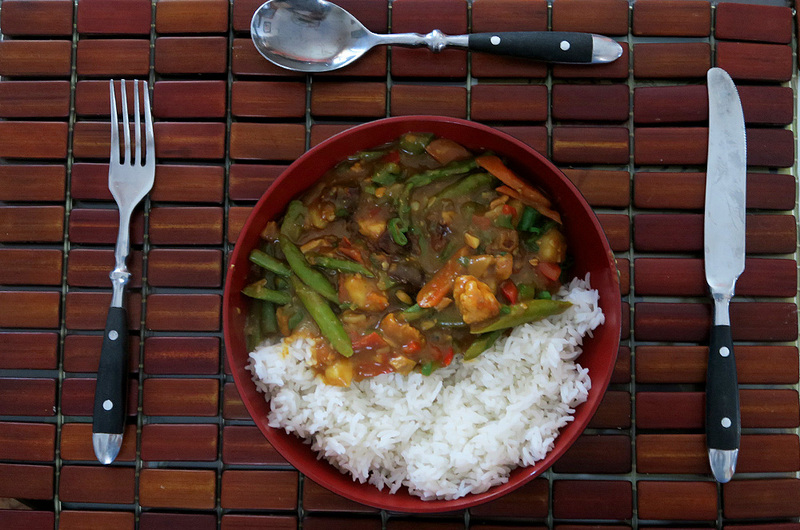 Compared to other curries I’ve tasted, this one is a bit more savory and not as spicy. I’ve used a few different types of curry paste blocks, but I found that the ones from Glico are my favourite. I buy the ‘hot’ flavour which isn’t spicy, and this is coming from someone who can’t do spice at all! I often add pepper to the recipe. 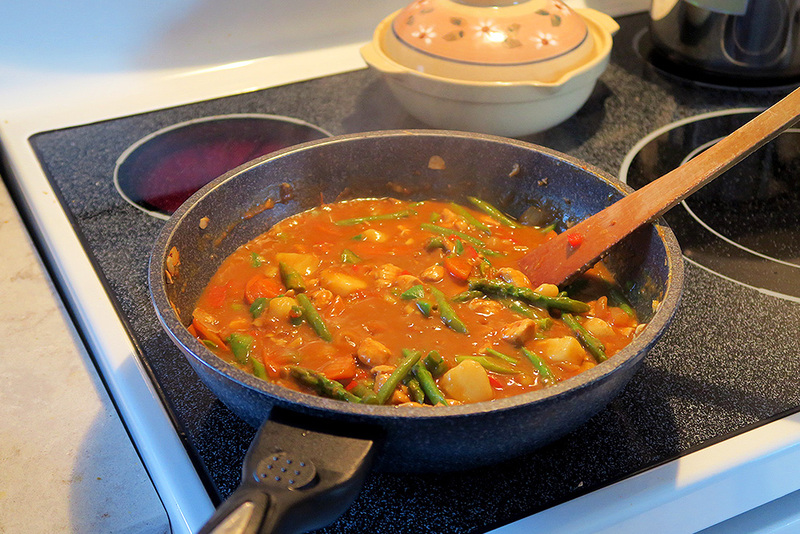 It also works great without meat – I often make vegetarian curry. Keep in mind that the smell is pretty strong… your clothes will probably end up smelling like curry so make sure to pop open a window and turn on your fan! This recipe makes about 4 servings, and takes about 40 minutes to prep/cook. 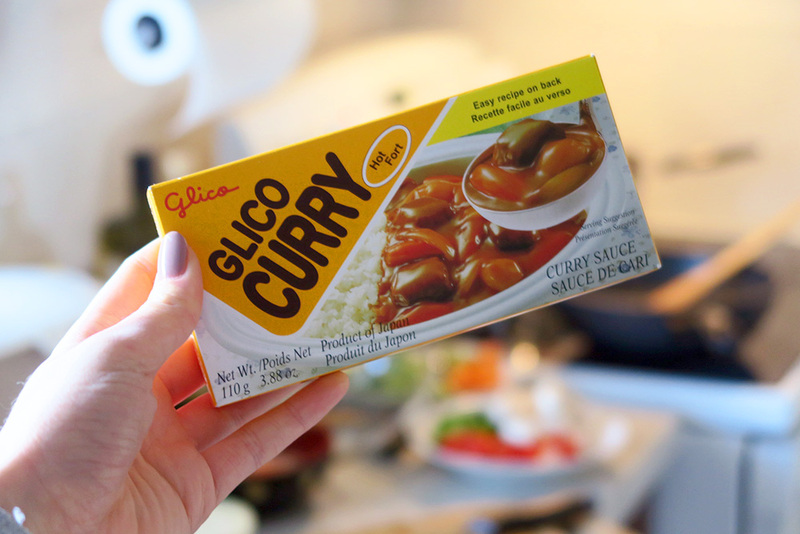 1 box of Glico Japanese Curry (Hot) – I only use about 4 cubes of curry. It’s a pretty well known brand and I think most Asian supermarkets carry it! Vegetables (lots lots lots!) You can use whatever I want, but here’s generally what I use. 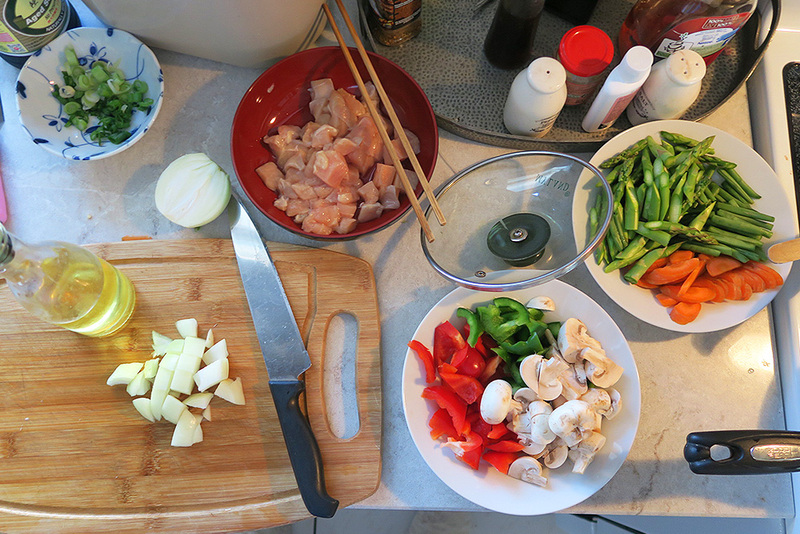 Sometimes I’ll chuck in a bunch of frozen Asian style veggies. The first step is optional, but I like doing this for a pop of spice. Take your diced meat and rub on a thin layer of pepper (I also use texmex seasoning sometimes). Make sure to really work it in! Set it aside. Pop 2 pots of water on the stove and bring to a boil. Add a dash of salt. Put in your potatoes and boil on medium for about 15 mins or until soft. In the other pot, boil your broccoli and frozen veg on low heat! 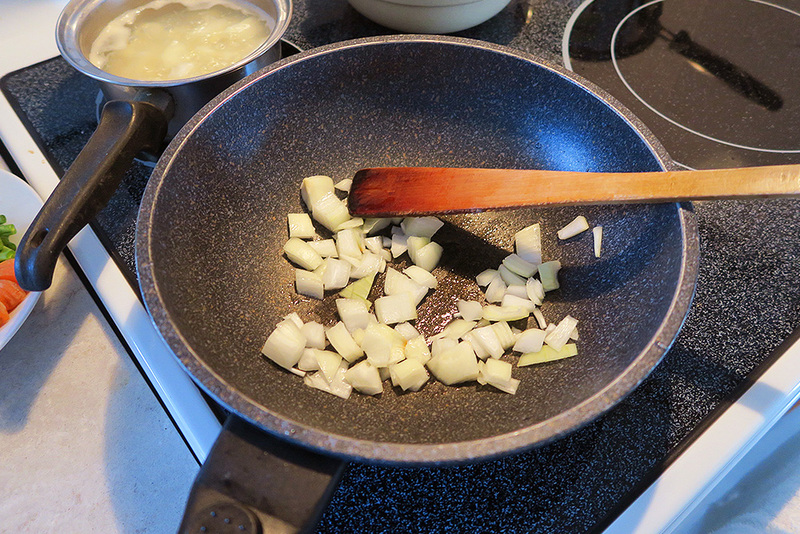 Place a large pan on medium-low heat. Add a dash of vegetable oil and pop in your onions. Saute them until they are start turning golden. Add in your meat and and cook thoroughly! Add in the peppers, mushrooms, green beans, and carrots. Turn up the temperature to medium/ high heat and saute for a few minutes until meat is beginning to brown. 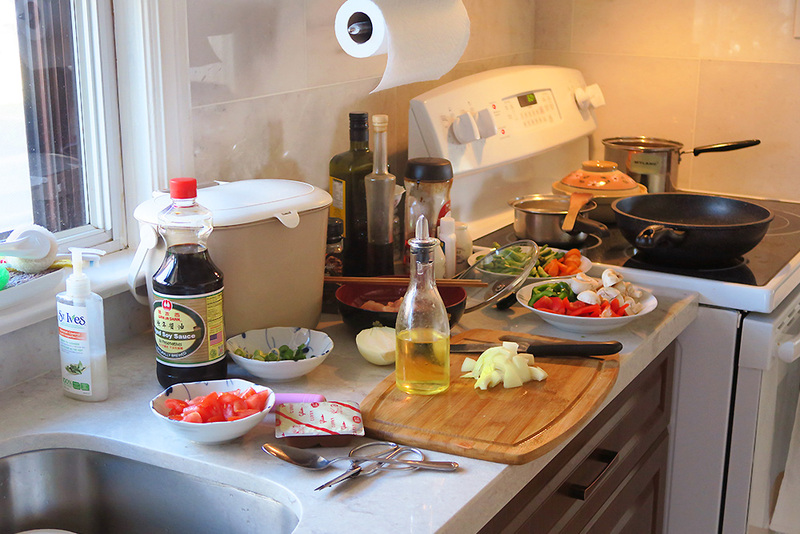 Until this point, it’s pretty much your basic stirfry recipe. Now, this is up to preference. I break off about 4 – 5 blocks, which is about half of the package. I like my curry to taste fairly strong. I would recommend using about 2 – 3 blocks and testing how rich you like the flavour from there. 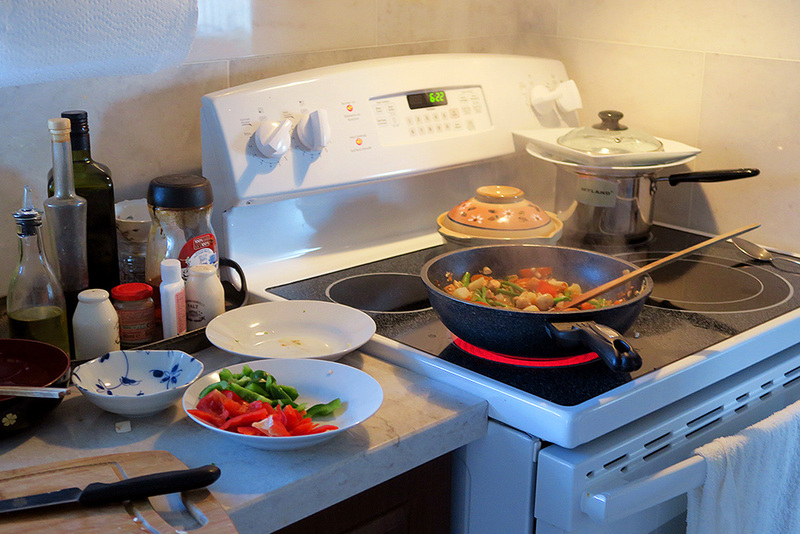 Add in your frozen veg and potatoes – let them sit and cook with the rest of the vegetables for a minute. 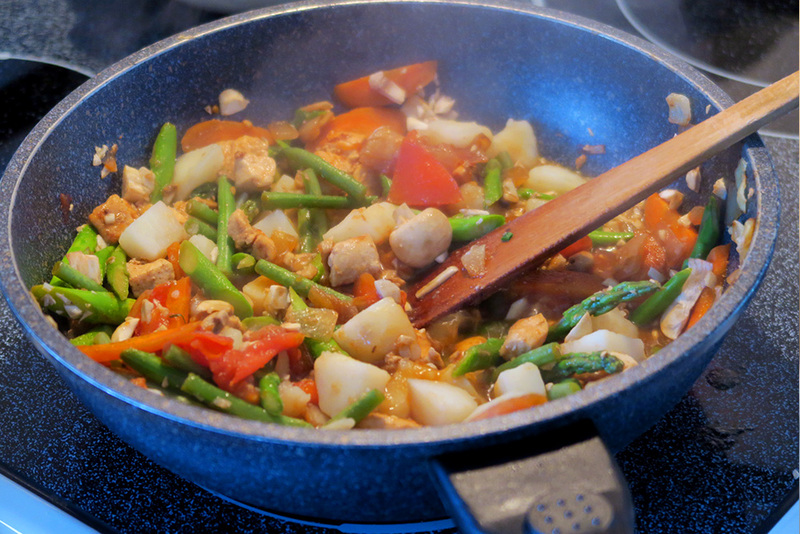 Take a bit of the potato water and add about 2 cups to your stirfry. Break up your curry blocks and scatter them around! They’ll slowly begin to melt into the water, creating a thick sauce. Cover with a lid and let it simmer as the mixture reduces a bit. It should be quite thick. Serve up your rice and top with a few heaped spoonfuls of curry! It will be nice and hot…dig in! Have you tried Japanese style curry before?